General Vice President Sito Pantoja and IAM/TCU-represented Amtrak workers joined US Vice President Joe Biden and Transportation Secretary Anthony Foxx at Philadelphia’s 30th St. Station and lauded the inauguration of Amtrak’s new Cities Sprinter electric locomotive service due to begin tomorrow. The new ACS-64 electric locomotives will travel at speeds up to 125 mph on Amtrak’s Northeast Corridor between Washington D.C. and Boston, and on the rail’s Keystone Service from Harrisburg to Philadelphia and New York. The locomotives will also power all long-distance trains operating on the Northeast Corridor. 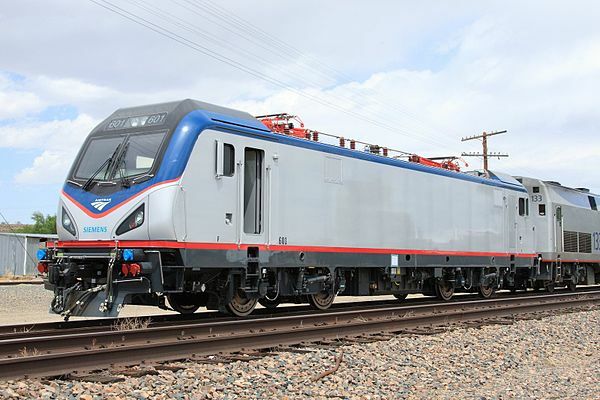 “The improved performance, reliability and mobility for these regional and intercity routes that these high-performance energy efficient locomotives provide will benefit the overall passenger service that our members provide,” said General Vice President Sito Pantoja. IAM/TCU members work on both of these routes in a variety of capacities from on-board service, station employees, clerical, mechanical and supervisors.